There are so many ways you can say I love you to your kids without actually saying I love you. Show your kids that you love them with this list of ideas. 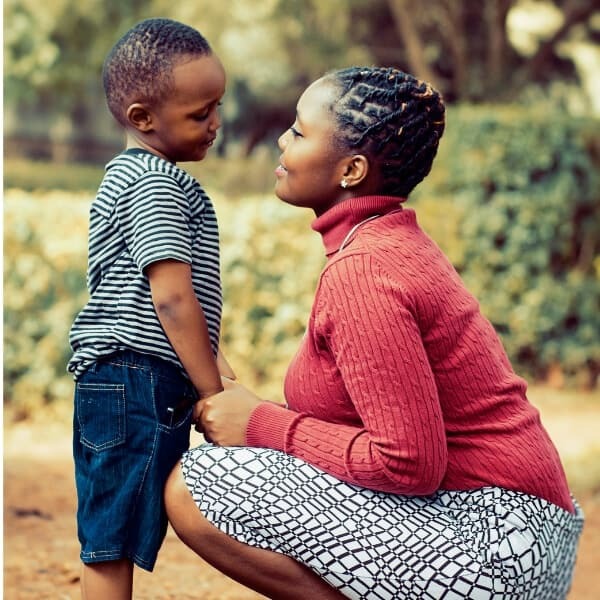 How Do You Show Love to Your Kids? The mom that asked me this question is a very loving mother who does anything for her kids, but it was a valid question: Should she buy gifts for her kids to show them that she loves them on that one day of the year? I assured her that she wasn’t the only one asking herself that question, and told her that I wasn’t getting anything for my kids. Not that she she shouldn’t get her kids any gifts. If she did decide to get them something, it should be because she wanted to show her love, not just because she felt obligated since other moms were buying gifts. Instead, we talked about ways that we show our kids that we love them every day. 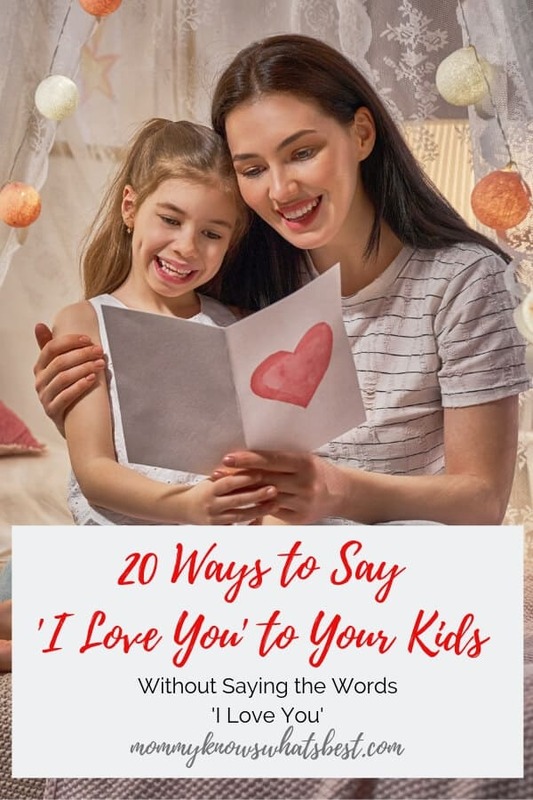 Besides the usual ways you let your kids know that you love them (taking care of them, providing food, shelter, clothing, letting them live after that last eye roll), there are other ways you can say I love you without saying those three words. 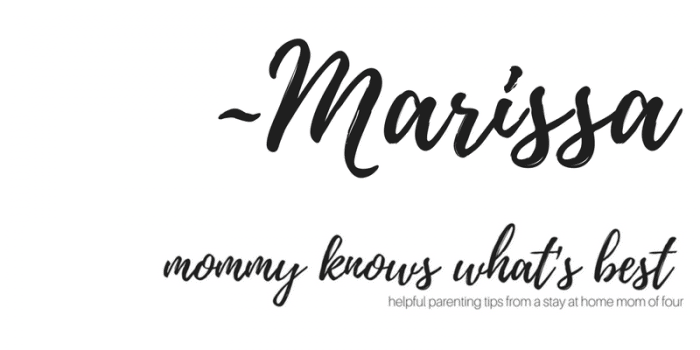 Some of these ideas stem from the fact that you listen to and pay attention to your kids, which is actually an awesome way to show ANYONE that you love them! 1. Make their favorite breakfast. You can show your kids that you love them first thing in the morning by making their favorite breakfast any day of the week, not just on the weekends. Not only will it feel like something special, but it will brighten up their day (or week) for sure! Making breakfast on Valentine’s Day? Why not make some heart shaped pancakes? Kids aren’t breakfast eaters? Make their favorite dinner instead! 2. Let them choose the music. My family loves listening to music. Every day on the way to school we pick one of our favorite Amazon Music playlists to listen to and sing along with. One of the ways I show my kids I love them is to let them pick the playlist they want that day. Speaking of listening, one of the ways to show kids that you love them is to listen to their stories. Now, I’m not just talking about listening in general. I’m talking about listening to those long, drawn out, kid stories that can be chalk full of randomness and drama (hello after school stories…) without tuning out or asking them to stop talking. If you have school-aged kids, you know what I’m talking about. When their little horizons expand, so do the stories. While those stories can make your eyes glaze over, it’s important to listen to them. Not only does it show love by paying attention, it can open up the doors to conversation and communication later on when the kids are teens and may not open up as often as they once did. If you listen and pay attention to the little things now, they’ll be more likely to share the bigger things with you in the future. 4. Teach them something new. Spend some time teaching your child something new, like how to cook, how to paint a watercolor painting, how to fold laundry…the options are unlimited! Simply spending time with you with a purpose is a simple way to show love. This one is especially important when you have more than one child. Set aside some one-on-one time with each child, doing something fun together. It gives your child a chance to have your full attention without having to compete with siblings. 6. Let them pick the show or movie. Kids love to have choices. If you’re going to be watching TV or streaming movies together, let your child decide what to watch. 7. Write a little love note. Leave a little love note to your child in their lunchbox, on their pillow, or next to their favorite toy. Older child? Send a text! Your child can’t read yet? Draw a little drawing! I have a friend who draws her son a little picture of their favorite characters every day and leaves it in his lunch box. A special way to show your child that you love them is to share your favorite memories of them. You can pull out their baby books or vacation photo albums and spend time reminiscing about the good times you had with them. 9. Notice when they do the right thing. It seems that often we notice the poor decisions our kids make more than the good decisions that they make. You can show love by noticing when they do the right things too. 10. Involve them in planning. Kids love to be involved in plans. If you’re planning a fun day, the menu for the week, a vacation, or a party, ask your kids for their input. You’d be surprised at how creative they can be, and they might inspire you to do or try something new! 11. Try a new activity. Try a new activity together. Let it be something that’s out of your comfort zone perhaps. It’s a great way to create new memories as a family. Make sure to take photos or video! 12. Have some cuddle time. Simply sit near each other on the couch while watching a movie or playing on electronics. Let your kids rest their head on your shoulder or put an arm around them. Hold hands while walking around the block. Positive physical touch is necessary for the emotional development of kids. 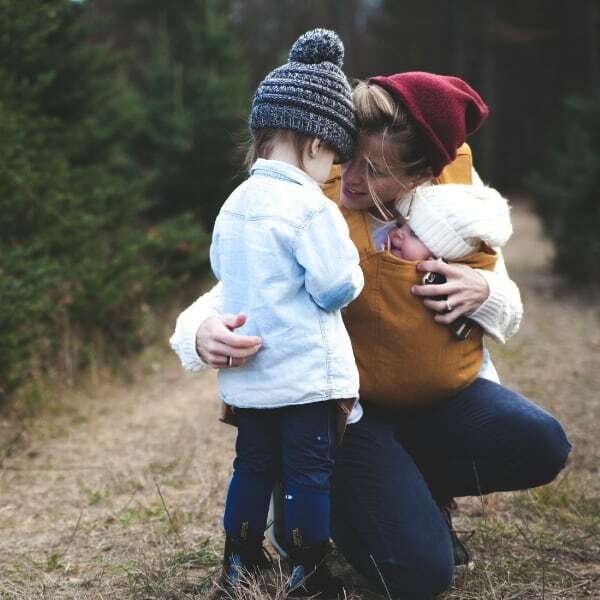 We often have the most physical connection with our kids when they’re babies, but it’s important to continue it as they grow older. My daughter is a little artist, just like her dad. We love to show off her art by hanging up her latest pieces or sharing them with friends and family on social media. Celebrating your child’s strengths is a nice way to show love and to encourage your kids to keep doing their best. 14. Help them through their weaknesses. My oldest has DCD (developmental coordination disorder), and he has trouble catching balls. I spend extra time with him playing in the yard to help him work on his hand-eye coordination. Sometimes, a weakness isn’t as simple as practicing sports skills or helping with math skills. It could be whining when chores need to be done, hitting a sibling when they’re angry, or not listening to directions the first time. 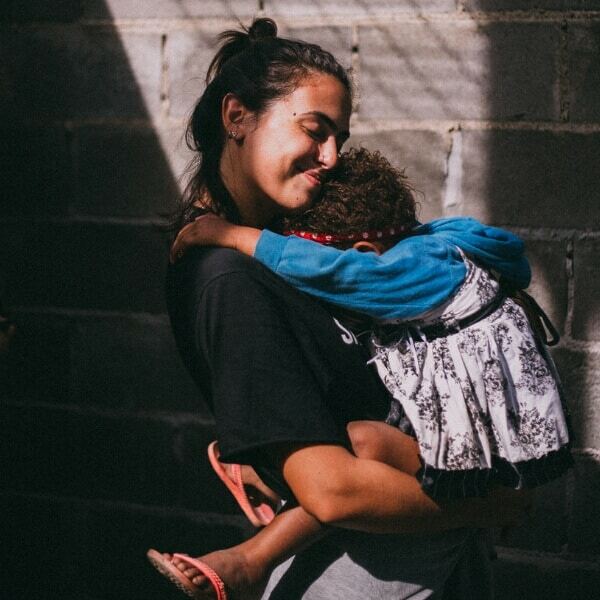 Helping them through these weaknesses and showing them the right way to do things is a sign of love. It can be hard sometimes, but you can show your kids that you love them by granting them mercy when these little things happen. You can give them a chance to fix their wrongdoing, explain why they have to change their ways, and help them to do better in the future. For me, family traditions always make me feel warm and fuzzy inside. It reminds me of the good times I had as a child. 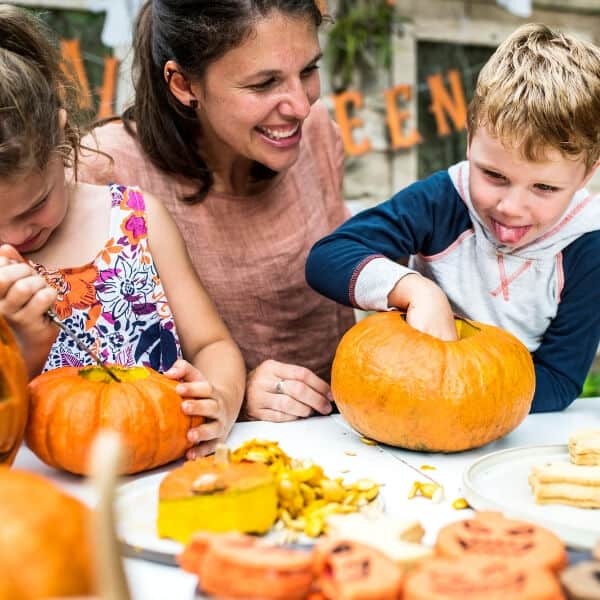 Start new traditions with your kids that can be continued year after year. A little encouragement can go a long way. Encourage your kids in all of their endeavors to show that you care. 18. Get them something special. I know in the beginning I wrote about not getting my kids a gift on Valentine’s Day, but a little something special now and again on a day that isn’t a holiday is a nice way to express your love to your kids. It doesn’t have to be anything extravagant. 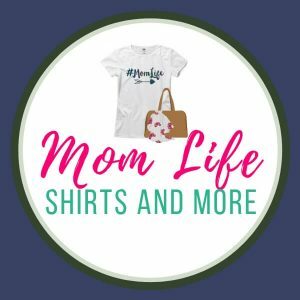 It can be a simple item to show your kids that you know what they like, like a new drawing notebook, a new character t-shirt or a fun science kit. Or, it could be something a bit bigger, like tickets to a concert or a fun trip to an amusement park. 19. Read their favorite books. It might hurt to read Goodnight, Moon for the millionth time, but if it’s a special book for your child, you can show your love by reading it for the millionth and one time. You could also start a new series with your kids and read it together at bedtime. 20. Give random hugs and kisses. Hugs and kisses are great ways to show love any time, but they’re most effective when they’re random. Give your kids random hugs and kisses, not just when they’re being little angels and not just for special occasions. A quick hug as your passing by in a room, a little kiss on the forehead when they’re doing homework, a hug after having an argument, an extra kiss goodbye before school, a hug when they’re engrossed in their favorite video game, a kiss on the cheek when they’re having a hard time growing up but you can still see the little kid deep down inside…anytime you want to show love. 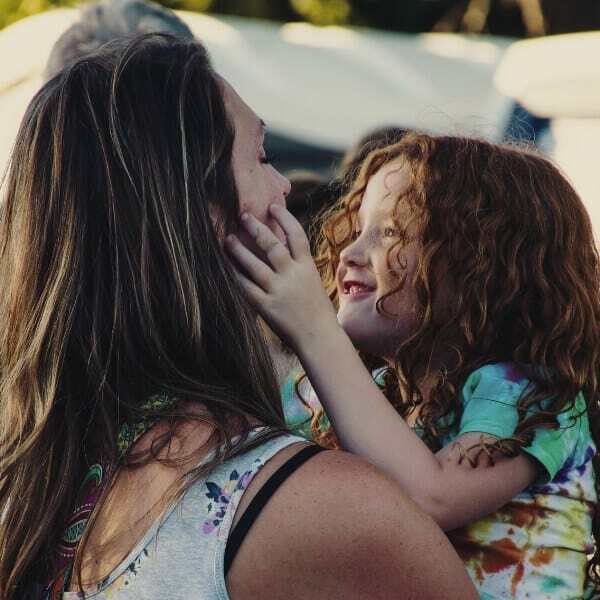 No matter how, using one of these 20 ways to pay attention to and listen to your child can help you show your love to them without actually saying the words “I love you”! How Do You Express Your Love for Your Child? Is there something special you do for your child to show your love? Share what you do in the comments below!